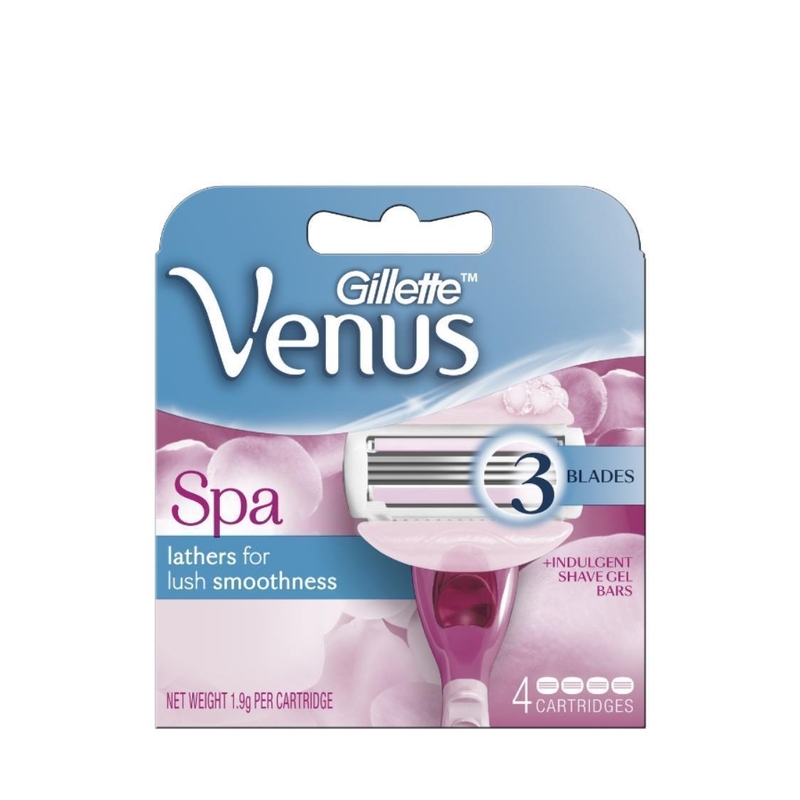 The secret to an easy, yet luxuriously close shave? The Venus Spa 2-in-1 women's razor, with 3 blades and built-in shave gel bars. Simply add water for a skin-loving, light lather and a smooth shave—there’s no need for a separate shaving gel. Even better, the shaving gel bars are infused with the fresh scent of white tea to soothe your senses.